Groundwater discharge that flows into the Upper Colorado River Basin varies in response to drought, which is likely due to aquifer systems that contain relatively young groundwater, according to a new U.S. Geological Survey study published in Hydrogeology Journal. The Colorado River and its tributaries provide water to more than 40 million people in seven states, irrigate more than 5.5 million acres of land, and support hydropower facilities. More than half of the total streamflow in the UCRB originates from groundwater. Reductions in groundwater recharge associated with climate variability or increased water demand will likely reduce groundwater discharge to streams. This is the first study that examines the short-term response of groundwater systems to climate stresses at a regional scale by assessing groundwater age. USGS scientists determined the age of groundwater by sampling the water flowing from nineteen springs in the UCRB. Age-tracing techniques can assess how long it takes groundwater to travel from the time it enters the aquifer system as precipitation to when the groundwater exits to springs and streams. 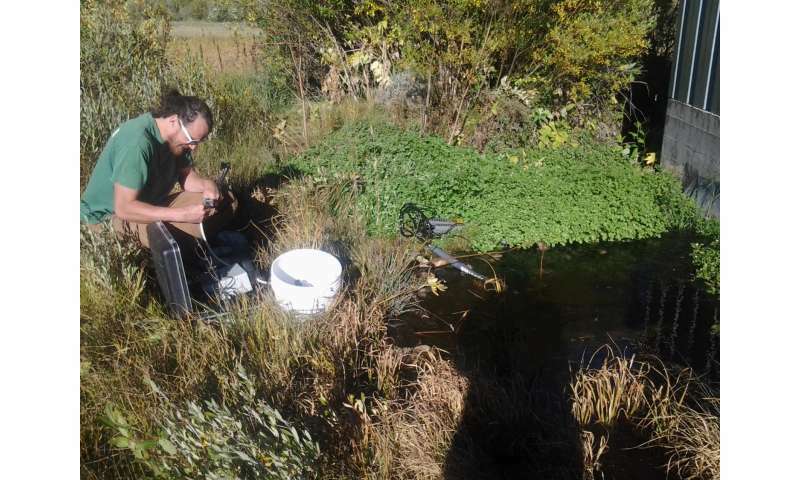 Scientists compared eight of the springs with historical discharge and precipitation records with the groundwater age to better understand how aquifers have responded to drought. These findings helped scientists understand the variability and timing of groundwater discharge associated with drought. 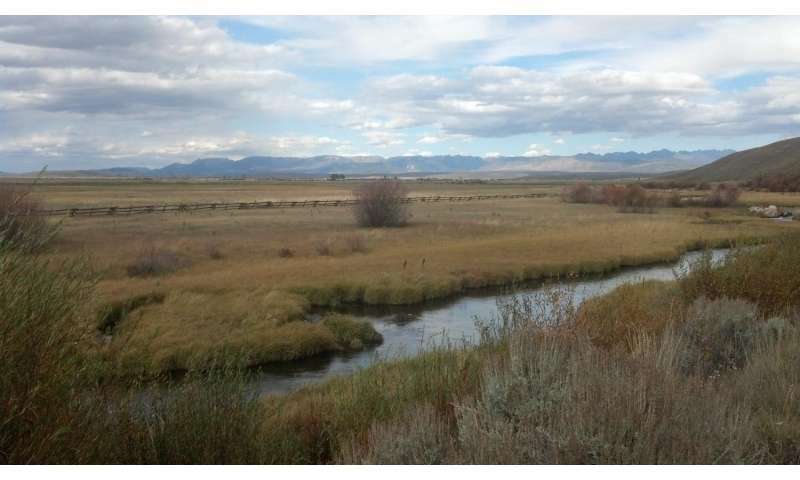 "About half of the springs analyzed in the Upper Colorado River Basin contained young groundwater, which was surprising," said USGS scientist and lead author of the study John Solder. "These findings suggest that shallow aquifers, which are more responsive to drought than deeper systems, may be significant contributors to streamflow in the region." Results show that if springs contain mostly older water, groundwater discharge is less variable over time and takes longer to respond to drought conditions. 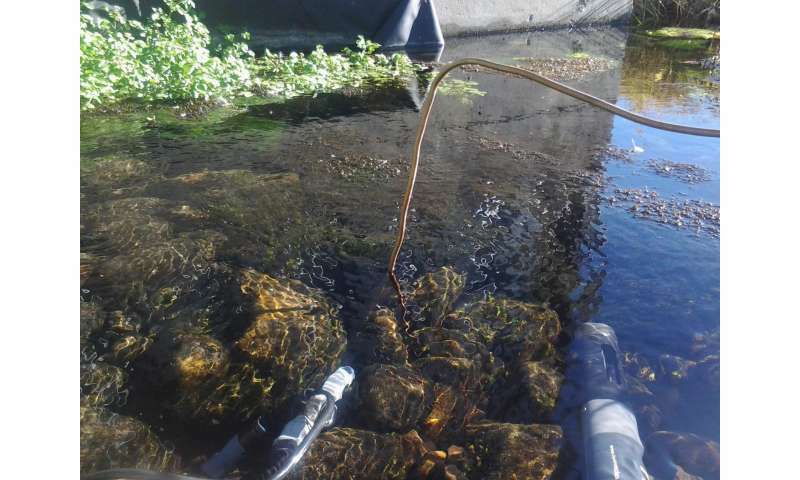 Springs that contain predominately young water, around 80 years old or less, are more likely to vary seasonally and respond rapidly to drought conditions. These results indicate that young groundwater resources are responsive to short-term climate variability. "Sampling 19 springs in a very large basin is just the start, and further studies are needed to better understand the groundwater resources of this specific region," said Solder. "Determining groundwater age has promise in predicting how these systems will respond in the future and allows us to assess resource vulnerability where no historical records are available." How does groundwater pumping affect streamflow?